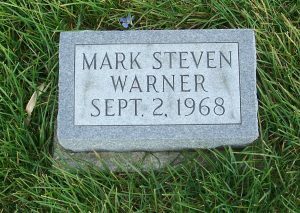 According to Zion Chatt’s records Mark Steven Warner was stillborn on 2 September 1968, born to Howard and Sandra Jayne (Stroh) Warner. 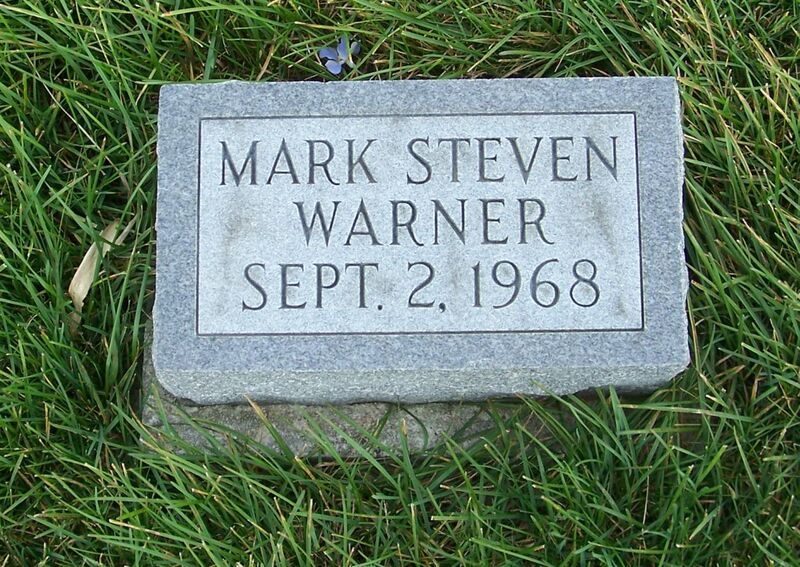 Mark Steven was buried on the 6th and the funeral was conducted by Zion’s Rev. Ralph Hershberger. The church records indicate that the graveside service was held at the Decatur Cemetery but his tombstone is in Zion’s cemetery, next to the marker of his grandparents Milbert and Koneta (Fisher) Stroh. Mark Steven’s mother Sandra Jayne (Stroh) was the adopted daughter of Milbert and Koneta.